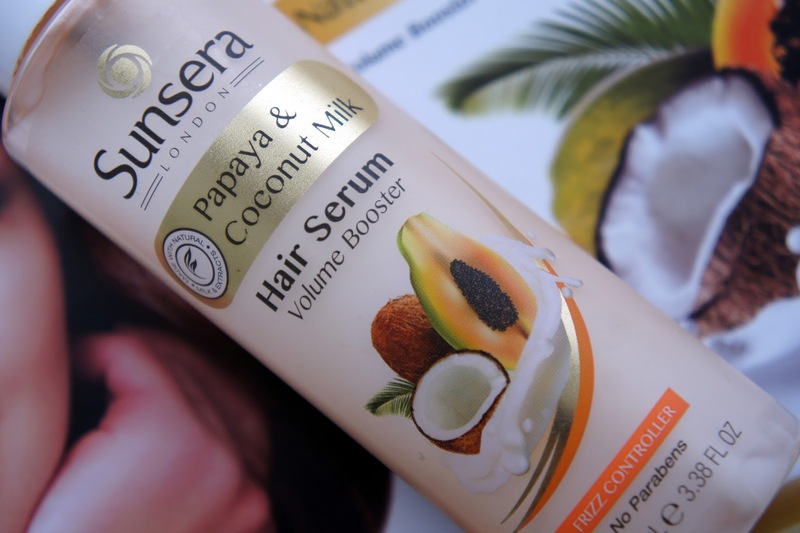 In this post I'll only be reviewing the hair mask and serum simply because I was not a fan of the hair cream so couldn't possibly hype it up! The Amla oil on the other hand speaks for itself, it's amazing and we all know that (well you should, it's a life saver!) so not much needs to be said about this. I was really intrigued by the Papaya range as I had never tried any products with this ingredient in before. Compared to their other range of products (Olive & Avocado, Argan & Shea butter), claiming to "advance" moisturise and hydrate, the purpose of the Papaya range is to add volume to hair and enhance elasticity (this is what had me sold). As you all know I love my high buns but my hair is just super knotty prior to having it sleek (you'd never believe) - this serum is not like many others that are heavy/oily, it's weightless and manages to tame the 'fro! I do add a tiny bit of oil to it just to seal to my ends, but for those of you with "European" hair this product will be your best friend this Summer! Say yes to frizz free hair. Onto this lovely hair mask that I use pretty much all the time now! I always struggle to have tangle-free hair whilst washing it and recently my hair has become even more difficult to maintain as it's getting thicker, so when I first used this product, I wasn't really expecting much. To my amazement the hair mask had done everything I needed it too, conditioned, untangled and defined my curls! With curly hair, maintaining elasticity is not easy at all. I mean I can straighten my hair once and I lose my curl pattern in certain areas of the hair easily. With this mask + gentle hair-care you can really bring your curl pattern back to life whilst also rejuvenating your tresses, I've been using this intensive hair mask once a week and it has really made a huge difference. Let me stress how important it is to keep your hair in check this Summer ladies and gents! The weather is not making it any easier for us so why not keep hair hydrated using some of Gold 22's affordable range of products? Shop here (this is not an affiliate link) and thank me later!